SKU: 4142. Categories: Theological, Issues. by William Goode DD. FSA, Late Dean of Ripon, Introduction by Dr. Nick Needham, Appendices by Dr. Nick Needham and Alan Howe. 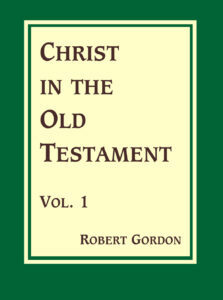 The original Title of this reprint was: The Modern Claims To The Possession Of The Extraordinary Gifts Of The Spirit Stated And Examined And Compared With The Most Remarkable Cases Of A Similar Kind That Have Occurred In The Christian Church: With Some General Observations On The Subject. 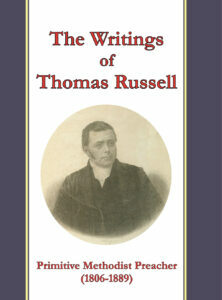 This third edition is a complete reprint of the Second Edition 1834. In 1822 the Revd. Edward Irving (1792-1834) was appointed the Minister of the Scotch Church in London – Church of Scotland – and his preaching became the sensation of the Capital, being attended by ‘statesmen, philosophers, poets, painters, and literary men; peers, merchants and fashionable ladies’. The reason was what we would now call a Charismatic movement imported from Scotland. Inevitably the Church was split, Irving was deposed for heresy and the ‘Irvingites’ formed a new denomination – the Catholic Apostolic Church which has only now become virtually extinct in Britain. In this work Goode shows that, far from being new, these phenomena have been a recurring delusion down the Christian centuries. 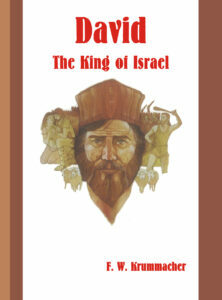 The relevance to the Pentecostal and Charismatic movements of the twentieth century will be obvious. This reprint of a 19th century response to the delusions of Edward Irving is a classic. The erudite author, a former Dean of Ripon, succeed admirably in proving that modern claimants to charismatic gifts have nothing in common with those possessing the extra-ordinary gifts of Scripture but everything in common with false claiments of the past. 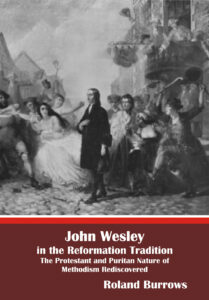 Bringing to bear on the issue a thoroughly Biblical perspective, an extensive grasp of church history and scholarship second to none, he systematically dismembers his opponents with the deftness of a surgeon. His most telling arguements are Irvingism’s internal inconsistencies, the secrecy of it’s supposed revelations and their close resemblance to parallel manifestations in pagan religions. Inevitably he draws comparisons with Monantism, a 2nd century charismatic movemnet which the Early Church Fathers condemned. 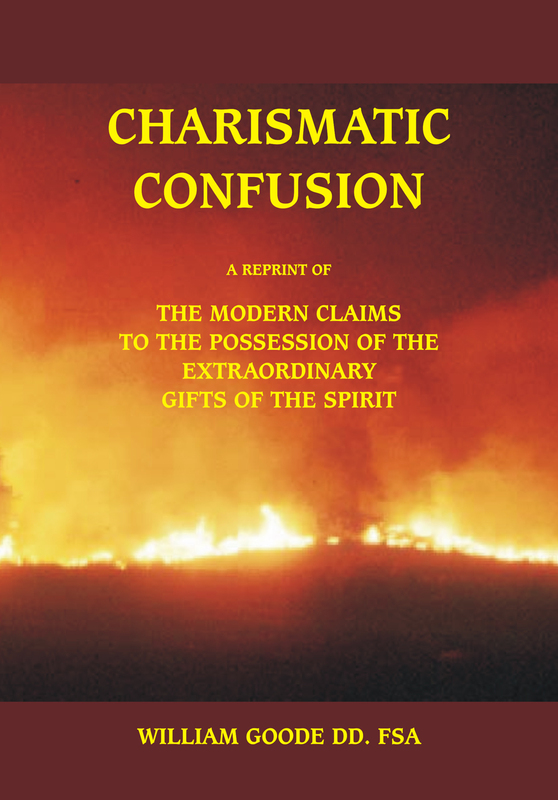 Significantly, he attributes charismania to the proud, self-centered craving of our fallen nature for the marvellous; the presence in the church of false prophets, as predicted (Matt 7.22-23; 24.24; Rev 13.13-14); the power and decietfulness of Satan; and such natural phemonena as heightened mental and emotional states. 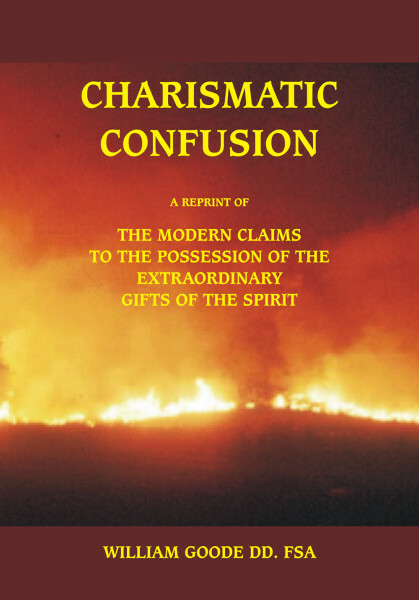 He concludes that the post-apostolic disappearance of charismatic gifts is not attributable to unbelief (as Irving and modern charasmatics claim), but to their divine withdrawal on completion of the canon of Scripture. What is at stake is nothing less than the all-sufficeincy of the Word of God Written. As a standard reference work on the origins of modern charismaticism, Goode is indispensible. Need we add that it is cheap at the price?